We know that the American West was once much wetter than it is today; the region is riddled with ancient lake beds and fossilized aquatic creatures. At some point in the last 15,000 years, these inland seas disappeared and turned to desert – but exactly when this happened was not well known. Until recently: a group of MIT researchers has discovered that the American west must have dried up just about 8,200 years ago – and that it did so relatively rapidly. 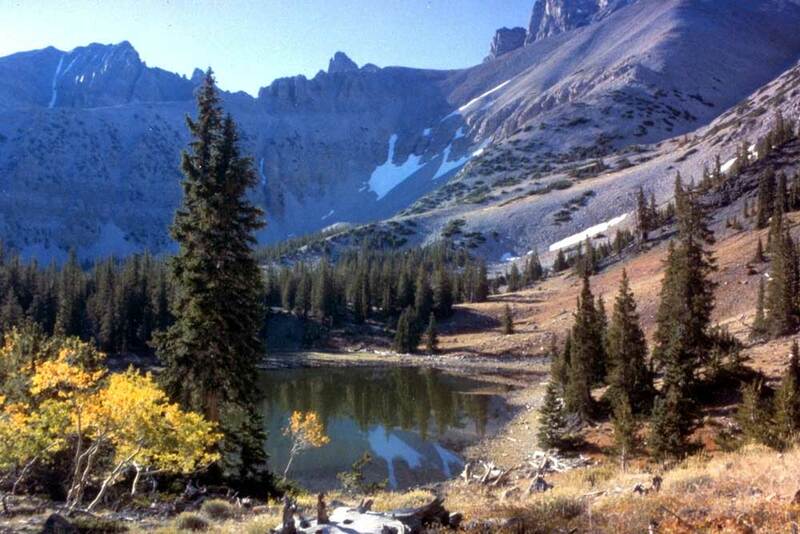 They came to this conclusion by studying stalagmites found inside a cave in the Nevada Great Basin. 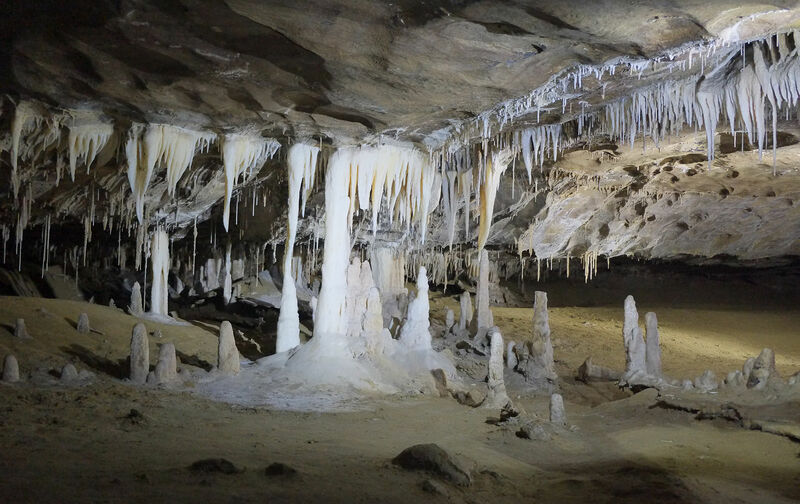 Stalagmites – rock formations that grow upwards on the floor of a cave from material that drips down from the ceiling – are “deposited in layers, kind of like stacked traffic cones,” says David McGee, an MIT paleoclimatologist and leader of the research team. The team was able to date each layer by calculating its ratio of Uranium to Thorium isotopes – a common way to determine the age of limestone. The researchers then looked at the mineral composition of each layer, and realized that it gave an indication of the moisture content that must have been present in the soil above ground at the time each layer was deposited. ”I’ve heard stalagmites called ‘fossilized groundwater,’ and that’s essentially what they are,” McGee explains. “Groundwater is percolating through the soil and rock, gets to the cave and drips out, and precipitates this stalagmite. The chemistry of that groundwater tells us something about the conditions outside the cave.” Groundwater contains large quantities of calcium and magnesium. As it seeps downward through the soil it leaves that calcium behind, leaving the water that ultimately drips into the cave with a relatively high concentration of magnesium. The research team realized that a drier climate slows down this percolation of water through soil, resulting in more calcium deposits in the ground, higher magnesium concentrations in the water that entered the cave, and thus higher levels of magnesium in the stalagmite layers that correspond to a dry period. One of the big things that was happening at this time worldwide was the collapse of the last vestiges of this big ice sheet in Canada,” McGee says. “An ice sheet is thought to have important effects on where the jet stream goes. By having this ice sheet here, it made it so the jet stream was more likely to bring storms into the American West, and when it collapsed, the region became more like it is today. 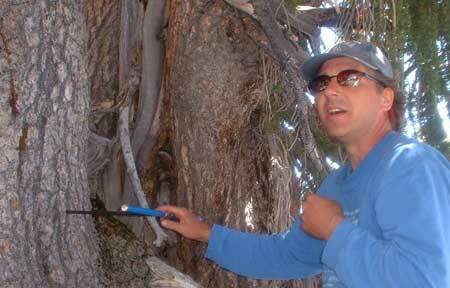 The MIT study complements other ongoing analyses of long-term Great Basin climate change, including ones that are hosted and facilitated by Long Now itself: our Nevada property is one of several field locations used by researchers Scotty Strachan and Matt Salzer (pictured below), who study bristlecone core samples and weather station data to study long-term trends in weather patterns – such as moisture content in the air, or the amount of sunlight per year – across a variety of Great Basin microclimates. Studies like these not only help us understand how our landscape came to look the way it does, but also create a larger picture for us of long-term climate change and its impact on human civilization – much like former SALT speaker Stefan Kroepelin does in the Sahara. This larger picture can help us better assess the meaning of more short-term weather fluctuations, and help us predict what may happen – and how we should respond – as we see our planet warming up.